Smaller, more powerful and at the same time more robust is the credo in all areas on the way to I4.0. Due to the miniaturized design and the high variability of the har-flex® connectors, device manufacturers have a freely scalable connection technology that meets the requirements of miniaturization. A special feature of the har-flex® mezzanine connectors is their continuous scalability, with all pin counts available from 6 to 100. This makes custom solutions possible for all customer requirements. Control cabinet space is money in machine and plant construction. 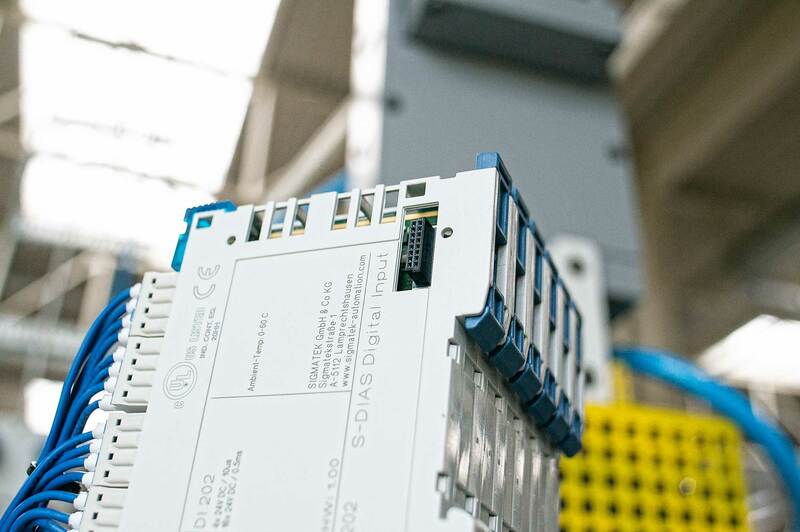 Depending on the requirements of the customer application and the packing density of the I / O's, stringing together 50 or more I / O modules is quite common. It soon becomes clear that each millimeter saved in the width of the individual module has a significant influence on the space saved in the control cabinet. 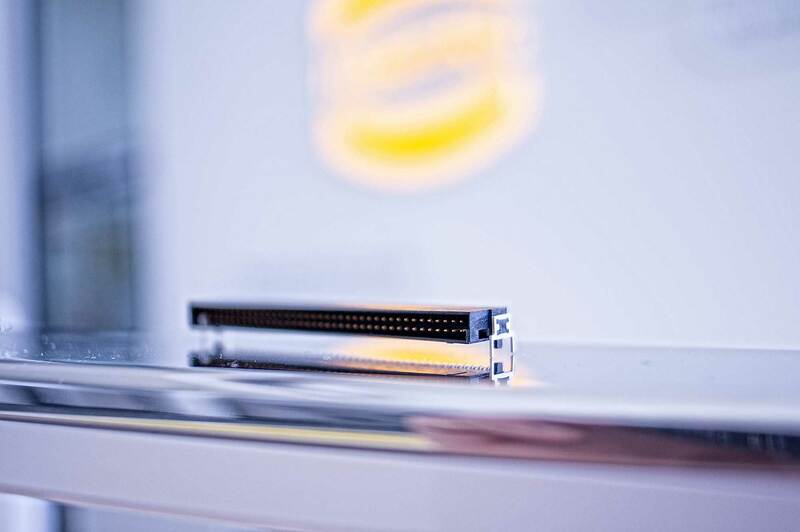 With the har-flex® connectors, HARTING has designed a series of PCB connectors for all-purpose use in and on the device. The har-flex® connectors are available in any number of pins from 6 to 100. The use of precisely fitted types provides the maximum versatility during device design while also helping to support device miniaturisation. The additional SMT hold-downs ensure that the connector is securely connected to the circuit board. The signal contacts are thus protected against mechanical stress, which contributes to increased reliability of the overall system. The locking levers on the sides of the IDC cable connectors ensure a reliable electrical connection, even under high shock and vibration loads. Optional strain relief clamps protect the insulation displacement contacts against pulling forces on the cable. 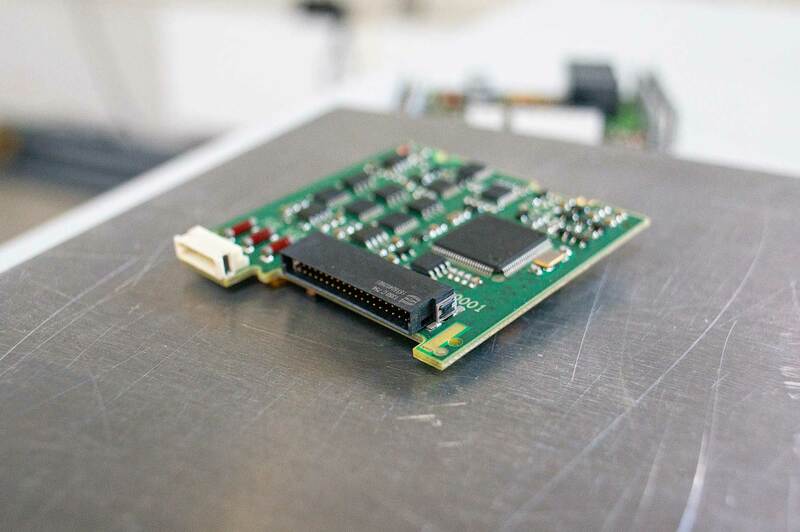 The har-flexicon® PCB connectors are designed for automated Pick & Place assembly processes; they can be processed in a reflow soldering process with other SMD components. Both of these processes simplify PCB assembly and result in lower overall process costs. The new har-flex® THR variants are intended for applications with demanding mechanical conditions. THR stands for Through Hole Reflow: this termination technique uses side-mounted hold-downs. 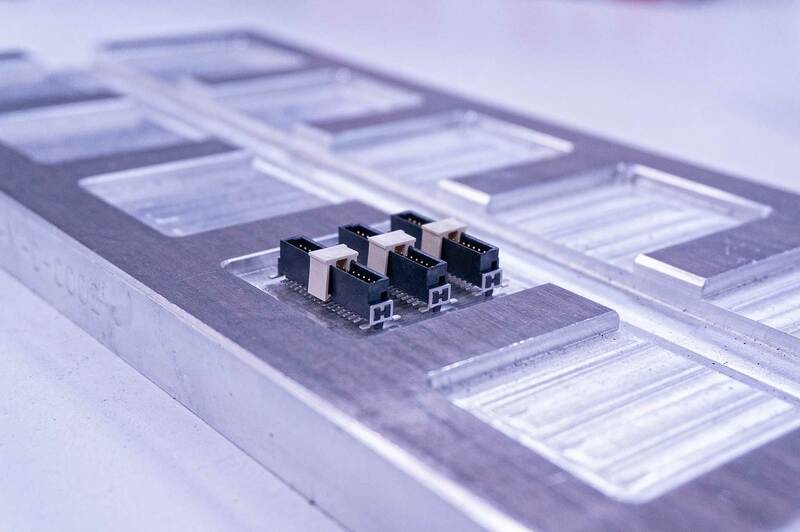 The connectors combine the mechanically stable solder joints of through-hole technology with the automatic assembly benefits of SMD components. The signal contacts are also designed with the SMT termination technique, so that separating the conducting paths within the circuit board remains as simple as possible.